Canal Sur‘s cameras were on 4KSummit17 and broadcast the following news piece in their November 10, 2017 News Issue 1. Canal Sur joins the challenge of broadcasting in 4K. Ultra High Definition is a system that could be generalized next year and that has such a definition of image that it is as if we were looking at a window. 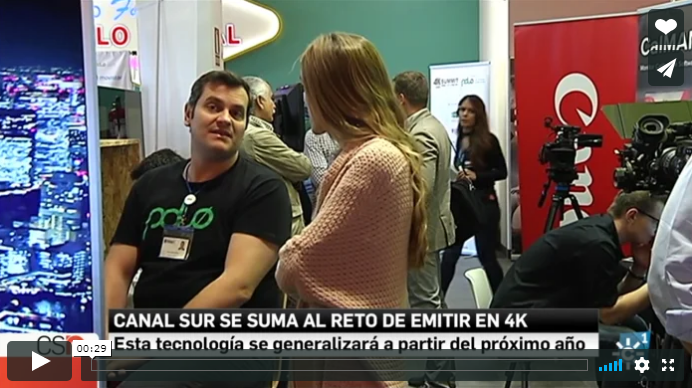 Canal Sur has presented its productions in 4K at 4KSummit 2017.